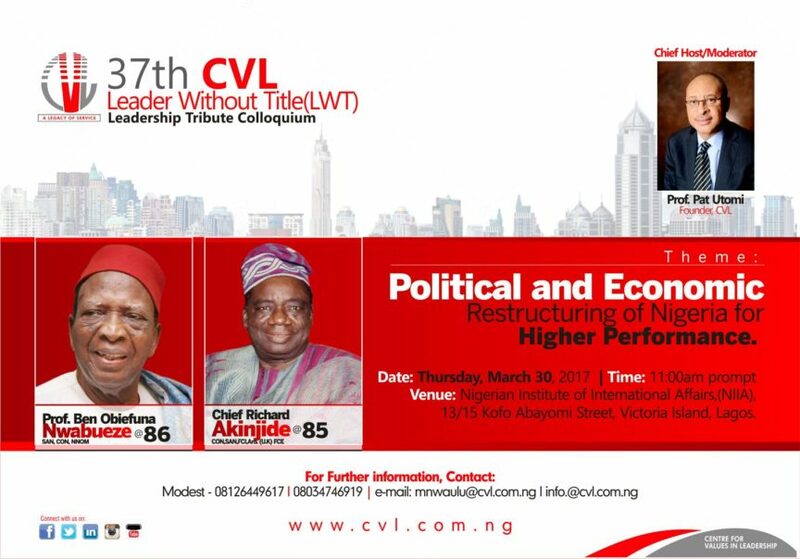 The Centre for Values in Leadership specially invites you to the 37th CVL Leader Without Title Leadership Tribute Colloquium in honour of Prof Ben Nwabueze @ 86 and Chief Richard Akinjide @ 85. Both honourees made their contributions in the Nigerian Legal profession. Akin Oyebode (Faculty of Law, University of Lagos). 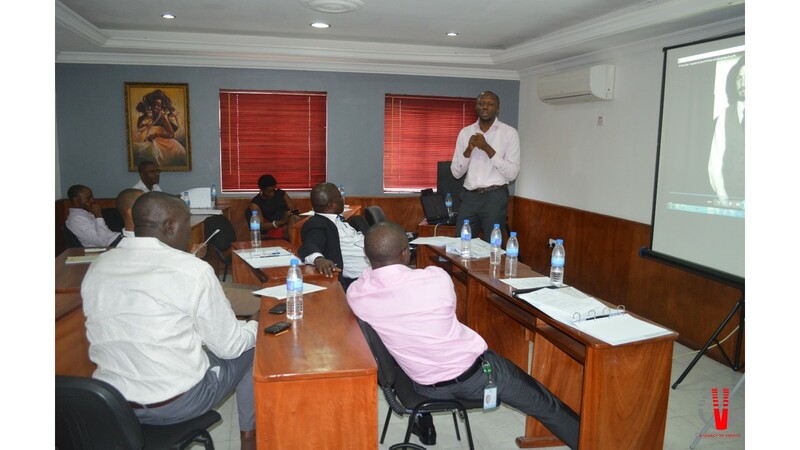 Please confirm attendance to: Modestus on 08034746919, 08126449617, mnwaulu@cvl.com.ng; Uchenna 08035832096, uachunine@cvl.com.ng.